Did you know that Mediasite 6 allows for presentations to be viewed on mobile devices? This means learners can view content anytime or anywhere. Whether sitting in the library or riding the bus, Mediasite presentations are viewable on-the-go! Check out which mobile devices apply and how to view a Mediasite presentation below. Which mobile devices can play a Mediasite presentation? You can play a Mediasite presentation on an iPhone, iPod, iPad, Android and BlackBerry devices. Are there certain device requirements? Yes. Below is a list of requirements needed before viewing a Mediasite presentation. Viewing the presentation is easy. Be sure to have access to the catalog or presentation link. If you do not have access to the presentation, contact mediasite-help@ncsu.edu. To view the presentation on your iPhone or iPod, click the presentation link. The Mediasite player detects that you are using an iPhone or iPod device and redirects you to the Mediasite app to view your presentation. If you have not downloaded the Mediasite app, you will be directed to the Apple store to download the Mediasite app. After you have used the app, a list containing recently viewed presentations will be visible along with a link to Sonic Foundry’s homepage. For the iPad, Android and BlackBerry devices, connect to a wireless or cellular connection. Open a browser and click on the presentation link. The presentation will automatically detect your device and begin loading. 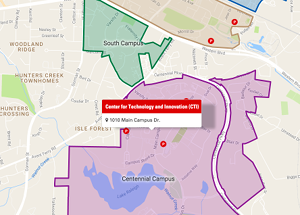 Contact LearnTech at learntech@ncsu or 919-513-7094.